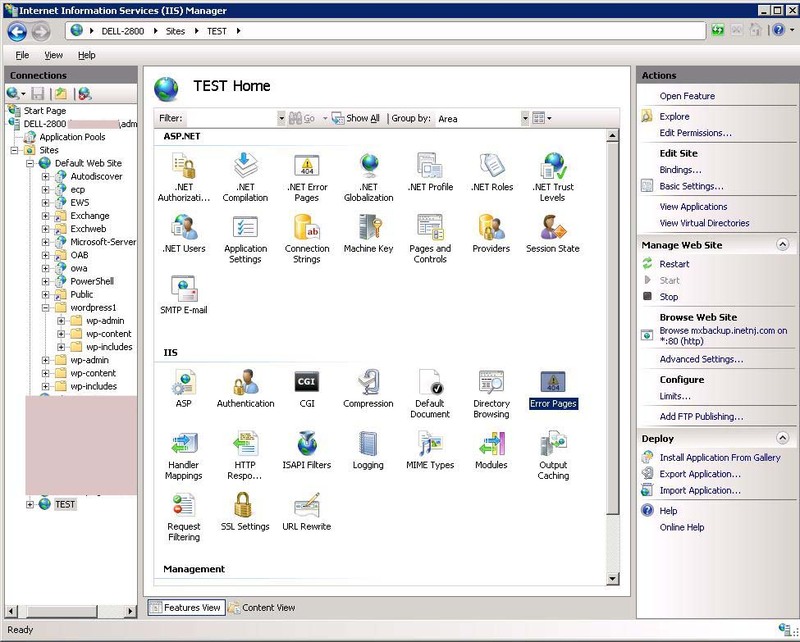 Open the Internet Information Services (IIS) Manager from the Administrator Tools. Click your website from the left pane tree and double-click ASP from the center. 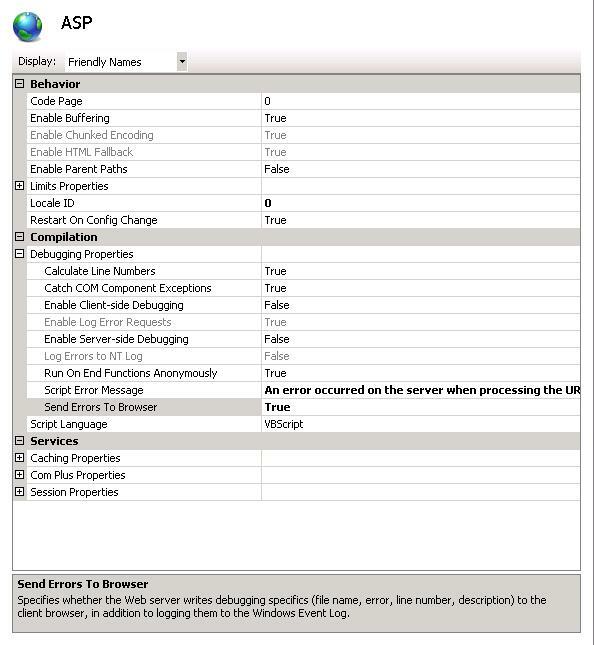 Under Debugging Properties set to True the Send Errors to Browser option. Double-click on the Error Pages. 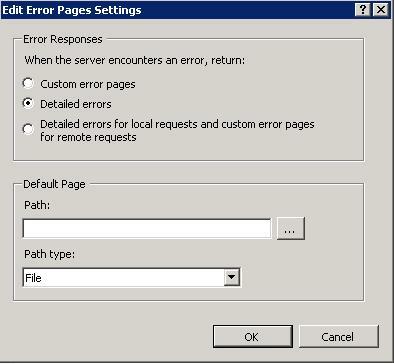 On the Edit Error Page Settings select Detailed Errors and click OK.